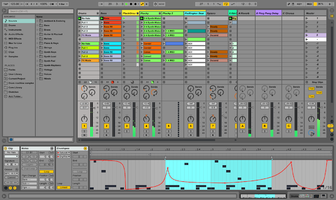 After its introduction in 2001, Ableton Live grew rapidly into a major force in the world of music production software. While many of its major competitors at the time were bogged down with legacy features, struggling to integrate new technology with old code, Live was newly written from the ground up. It offered a fresh approach, combining real-time clip launching with recording and mixing features, and gave producers and musicians a powerful new way to work. Today, between the various versions of Live available, both full and “lite,” there are around 1.5 million Live users worldwide. In 2013, the company released Push, a pad-view instrument that not only offers Session-View-style clip triggering, but also breaks new ground with its original approach to playing notes and chords. Add to that a feature-rich drum triggering and sequencing mode, and seamless integration with Live, and you’ve got a powerful new product. 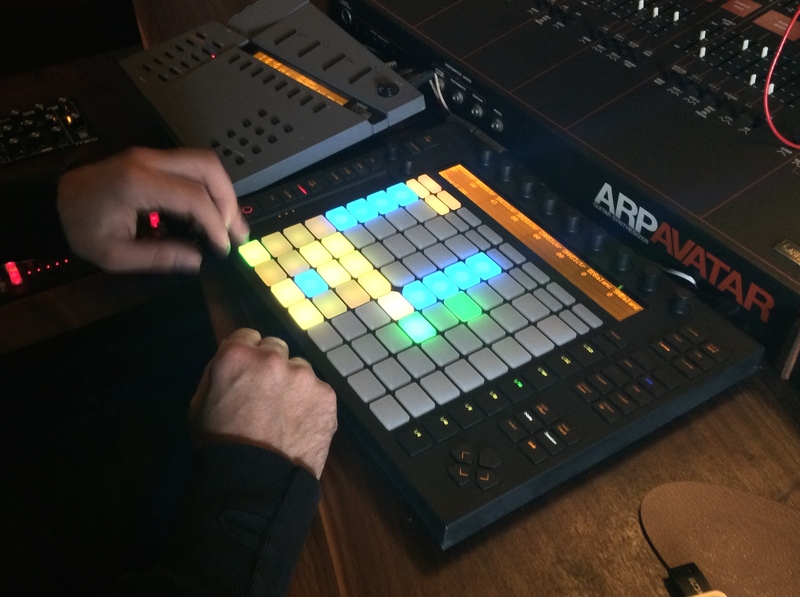 Audiofanzine spoke with Push’s product manager and co-designer, Jesse Terry, to find out how Ableton views the addition of Push, the future development of Live, its competitors’ products, and a lot more. How did the Push project come into being? What was the impetus for it? Good question. It started as a drum controller for Drum Racks in Live – we were working around a 4x4 pad controller design and all the things that you wanted to do with drums. And as we got going with it, I had a lot of talks with Gerhard, our CEO, and he was the one who said this should not just cover drums, but it should cover melody and harmony, too. So then we had the task: Go design an instrument that works for everybody in every aspect of their creation phase, which sounded like fun to me, so that's what we worked on, and eventually we came out with Push. Is it the instrument and drum functionality that differentiates this from other grid-style pad controllers for Live? Yeah, there are a lot of great things out there focused on the clip launching aspect of Live, which is very powerful for performance. But nothing has gotten it to actually play the notes in the same way. We worked really hard at trying to find the right size for these pads. So the pads are smaller than on an MPC? Yes, that's right. They're smaller than an MPC, bigger than a [Novation] Launchpad. We looked at pianos, and the width of a piano key, and we had our calipers out for a lot of these different things, figuring out what you can do with one finger and what you can do with two fingers. The sizing, layout, and sensitivity of the pads were important to us. This is probably the first, 64-pad velocity- and pressure-sensitive pad controller. Regarding Live, if you had to make a choice would you consider it to be a DAW or an instrument? Live itself, I would consider a DAW, I guess, because that's where I do all my music production. But combined with Push would you consider it more like an instrument? Yes. There are people who use Live differently than me, people who use it to perform with, and those people would probably consider Live more of an instrument than I do, because I'm using it in my home studio mostly. So that depends on who you are. But Push and Live together are my instrument. Do you think of Native Instruments Maschine as a competitor or a complement to Push? There certainly is overlap in their feature set. Where Maschine is mostly drum and step-pattern oriented, Push also has the melodic and harmonic aspect, which is not something that Maschine does. I think Maschine is a beautiful product, and I use it alongside Push. I find it quite fun, and I think that Native Instruments does an excellent job on sound design, in particular. But I think it's a different thing. With Live and Push you also have the ability to record in your vocals and do all these things like that. For sure there is overlap in the feature set, but they're quite distinct in many ways, too. Maybe I'm unique, but I see lots of people using both of these things in different ways. Are there any features that you see in your competitors, that you’d like to see integrated into Push and Live? Absolutely. It's a work in progress always with both Push and Live. With Push, we have so many ideas for it, and there were so many things we wanted to add in time for release, but we had to draw a line in the sand or else it wouldn’t have come out. So I guess there's much more we plan and hope for with Push, and same goes for Live. Sure, we see what other people do, but it's really not how we design. When we design new features or enhancements to features, we do it on a user level, where we think about what problem the user has, and then we try to design it from scratch. Everybody uses different software, and we see how different things work, so maybe we're influenced by that, but whenever we're designing something, we have to strip it down to the basics first. Are there any major new features you'd like to see in future versions of Live? Yes. I could give you a list of about 1,000 items that I complain about all the time. I'm a heavy user. I use it every day, so I have a million little things that I'd like to tweak, but my opinion may be different from the million other users out there, so we have to balance all those things about who it's for and what's the best solution for them. And it's something we spend a lot of time on. We probably spend as much time on removing things that we think are needless steps as we do figuring out what we can add. Like, the Preferences menu, or something like that, is not something that it's easy for us to add features to, because we want to reduce complexity and make the job easier, and that's not always achieved by just adding a new feature. 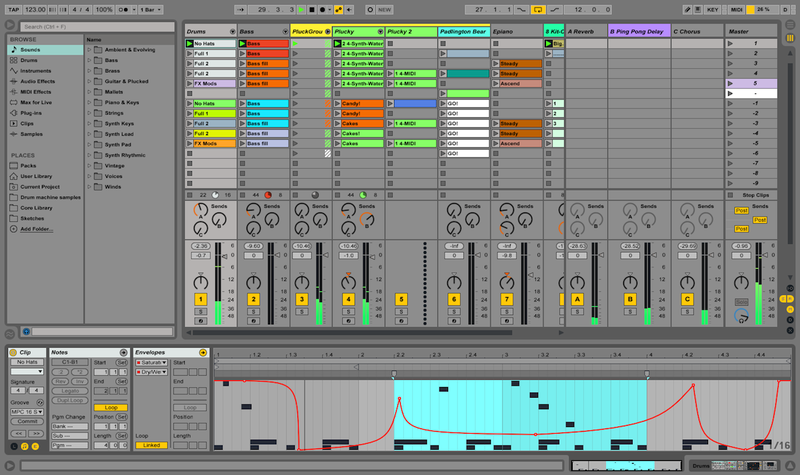 How much does Ableton weigh user feedback, and what people are saying on forums and elsewhere in terms of designing future updates? It's a balance. I couldn't give you an exact percentage, but we really focus on user testing at our company. We have a bunch of labs where we sit people down and watch quietly over their shoulder or via camera and see if they run into problems. And so we're constantly re-evaluating what's already in there, and also thinking about new things. I'd say it's some balance between "exciter features," like Live 9’s audio-to-MIDI features — which are really not something people were asking for, but they were very excited to get — and things like enhancements to compressor and EQ devices. The latter are situations where we improved on what was existing. So it's a balance. Because Live has so few screens, which is one of the great things about it, it must also make it harder to find a place to put a new feature. It's a restriction. I think restrictions are what help you to make music in some ways, too. A lot of the classic drum machines out there were very fixed environments. Think of something like the [E-Mu] SP-1200, on which some of the greatest hip-hop of all time was made. It had only a tiny amount of memory for people to work with. That kind of limitation often results in really incredible music. How does your user testing work? We have a bunch of different methods. Sometimes we'll do paper prototypes or we'll have some pictures in front of them and say, what does this button do, and how do we do this? So we sometimes have very specific things such as button names on Push for instance. We A/B test one name against another and see which is the best way to go. But also, we sit and watch people make music the way they want to make music, and see what their frustrations are. You get amazing results when you put even a limited prototype in front of somebody, and see where the problems crop up. You could debate about this stuff from a theoretical point of view, and not get anywhere. You might find that you were wrong completely at the beginning if you get it into somebody's hands to test out. Which was part of how we did Push. We made a Frankenstein controller with Legos attached to MIDI buttons, so we moved them around, and had little Lego words that stuck on, so we could change the layout. We did this to iteratively get to where the layout is today. 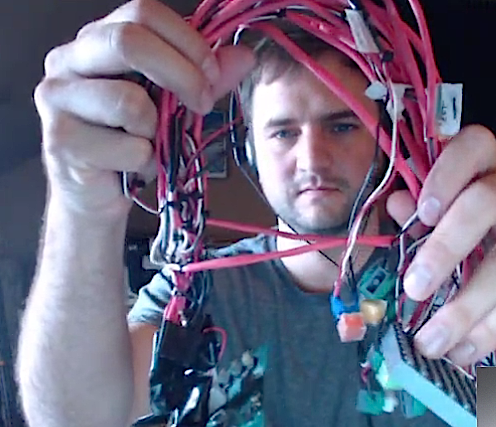 Terry holds up the remnants of a prototype controller, featuring Legos and changeable MIDI buttons, used by Ableton for user testing during the early stages of Push's development. Yes. At this point, we're getting a little more high-tech in terms of how we prototype. With things like 3D printers and stuff like that, you can do a lot more. Do you ever think about putting some collaboration features into Live, so people can work together on projects from different locations? Yes. We have thought a lot about this, and as we thought about it and even worked on some ideas for it—this was around the time that products like Dropbox came out. What we've seen is that actually a lot of people are doing really great stuff with this, ahead of us. We're kind of watching where some of it goes. I think there are some really good products out there for collaboration with Live, third-party stuff. Not as much. These are more like, "I work on a [Live] Set, you work on a Set," and it updates the changes. I assume that latency is still a big issue as far as real-time collaboration is concerned? Yes, for sure. There's latency. That's the main thing, I guess. Somebody controlling your Set from London, you would run into problems. People do this kind of stuff with various workarounds. But it will be interesting to see where it goes once speeds get faster, which they constantly do. Do you think that Max for Live would be richer and stronger if it were integrated into other DAWs, too? Interesting question. For sure you would have a larger user base to come up with different ideas for it. But I know the work required to make Max for Live work the way it does in Live is no small undertaking. I don't know if that would make sense for those other companies to do. We have a long-time special relationship with Cycling '74, and our founders are good friends and some of the precursors to Live were done in Max. You can even download these now. There's a Max patch that has a very early version of the Session View, on Robert Henke's website (he's one of the early founders of Ableton). 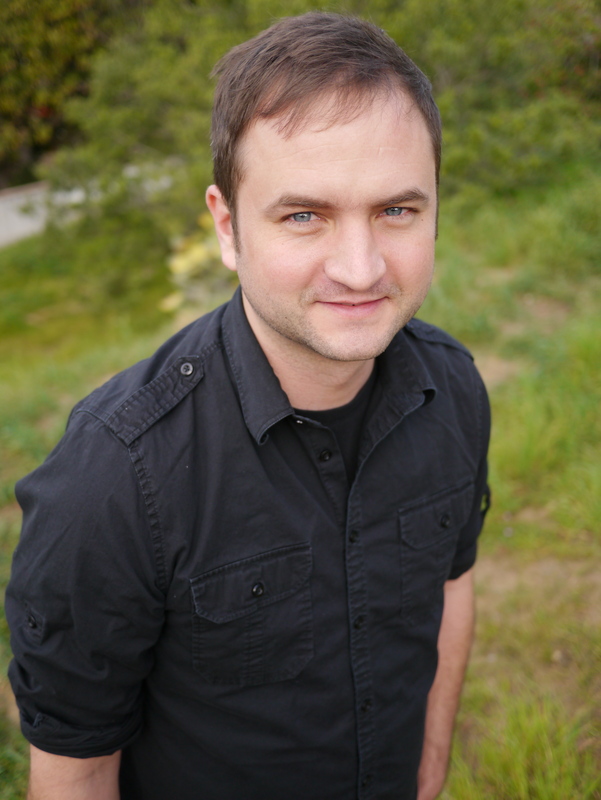 Terry sees "new and exciting" features Live's future. A lot of DAWs have integrated Melodyne. Have you had any thought of doing that with Live? Well, we were intrigued and impressed with Melodyne, for sure. I think around the time of Live 8, I was using it a bit and playing with it. I thought it was interesting. And then, in using it, I realized that what I liked about it most was getting the MIDI data from it — exporting MIDI. What they've done is amazing, but for me, the sound artifacts of changing notes in audio in real time are not always what I wanted. What I was often looking for was the rhythm or the notes. And that's something we've done with audio-to-MIDI in Live 9. You can extract harmonies or melodies, or you can extract a beat along with snare, hi-hat, and kick drum. Those will all be put into the right place when you just convert an audio file into MIDI. What's the plan for the future of Live? There are many, many plans, that's for sure. Without saying too much, I’ll say that we will continue on the path of putting in fixes and enhancing the usability of the product. That's really the strongest thing to make it as easy as possible to make great music. We balance that with adding new and exciting stuff, and that's really the path. What the new and exciting stuff is, I can't say, but there is plenty of it coming.